The brand hails from Estonia, and it has made waves throughout Europe and now into the Southern hemisphere. 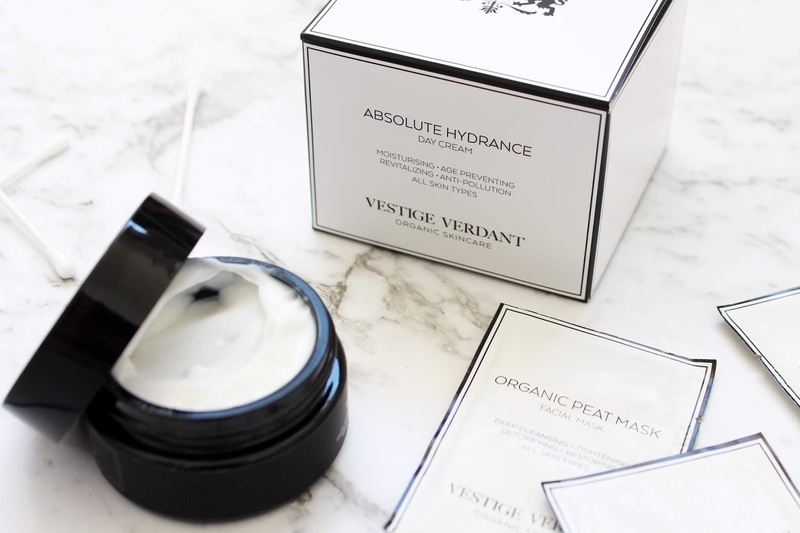 The original product that launched Vestige Verdant was the Organic Peat Mask, that utilises the rare organic ingredient of peat which is known for its natural healing properties to help tighten the skin, boost circulation and to treat acne. The ingredients used in all of the products are of the highest grade, all of which are certified organic and free of harmful chemicals. 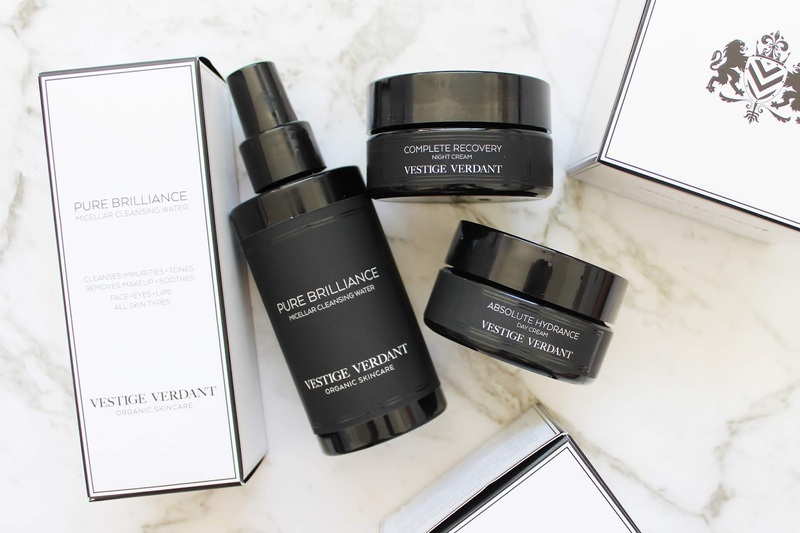 Vestige Verdant prides itself on being a luxury brand, from the ingredients themselves to the chic black and white packaging. It is unique from many other skincare brands I have used in the past, and that is why I like it so much. The Absolute Hydrance Day Cream has a beautiful texture; it is lightweight yet immediately hydrating and for those with mature or dry skin, this would work amazingly well. The Day Cream helps to rejuvenate and soothe the skin whilst also leaving you with a healthy and naturally glowing complexion. 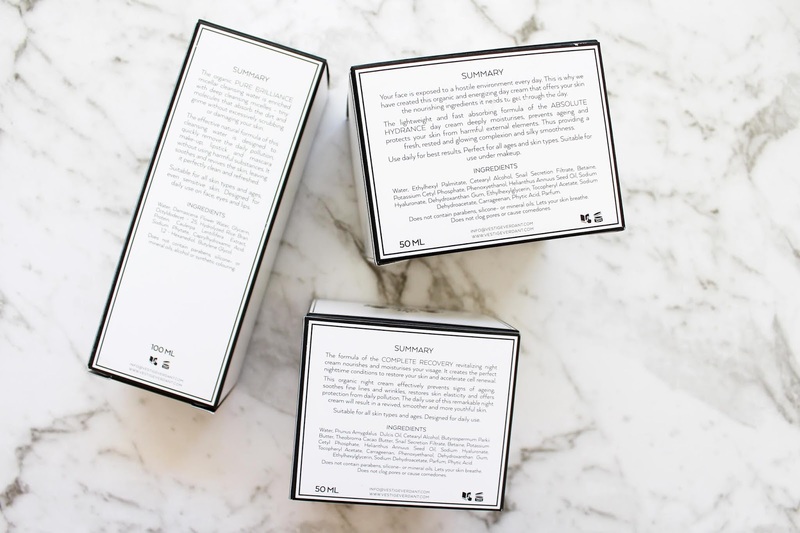 The ingredients aim to help protect against pollution from the urban environment as well as protecting against UVA and UVB rays that may cause early premature ageing of the skin. One of the ingredients from the list I was most intrigued to find was snail secretion filtrate or 'snail slime'; it's used a lot in Korean skincare and naturally contains hyaluronic acid as well as antimicrobial peptides, proven to help prevent ageing and improve wrinkles and scars. 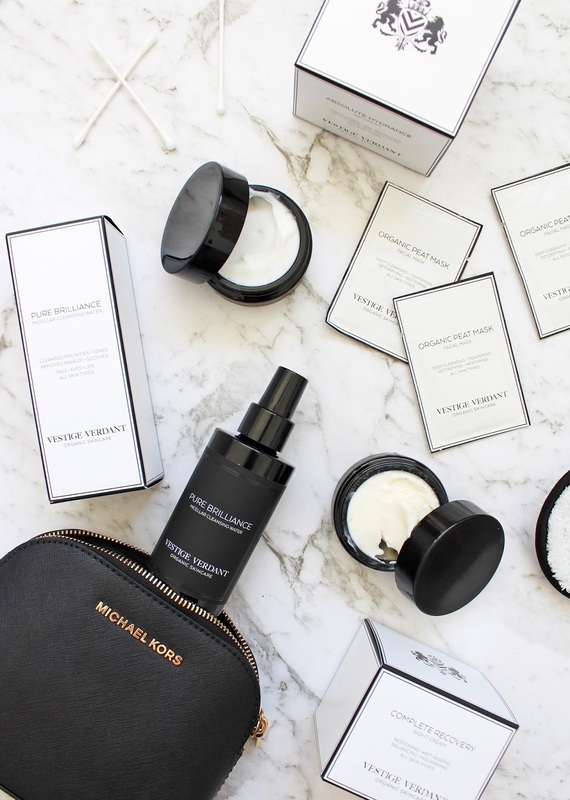 A good day cream and a complimentary night cream are essential to any skincare regime; when you are sleeping this is when your skincare is going to work its hardest and be most effective. The first use of this Night Cream had me hooked. It's quite rich and is a lot thicker than the Day Cream, but that is what I look for in a night cream. This aims to help fight premature ageing by smoothing fine lines and wrinkles, tightening the skin and restoring the skins natural elasticity. It also promises to diminish pores and balance out oil production. I do really feel as though this has helped with my fine lines, I have a particularly prominent one on my forehead that would catch foundation in it, but I haven't been noticing that as much since using this. Every morning after using it, my skin always feels smooth and well hydrated. 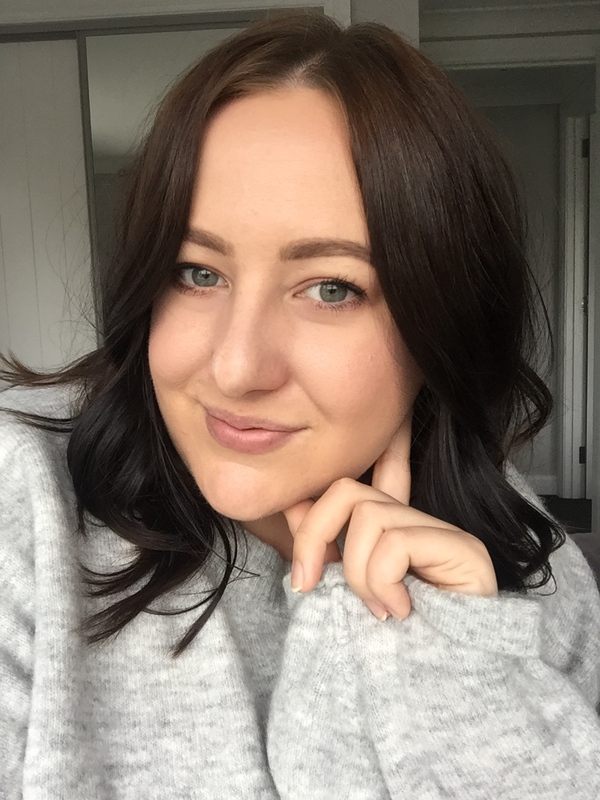 If you haven't used a micellar water before, you need to try one ASAP. It is one of the easiest and quickest ways to remove your makeup, as well as dirt and grime from the skin, without needing to rinse. 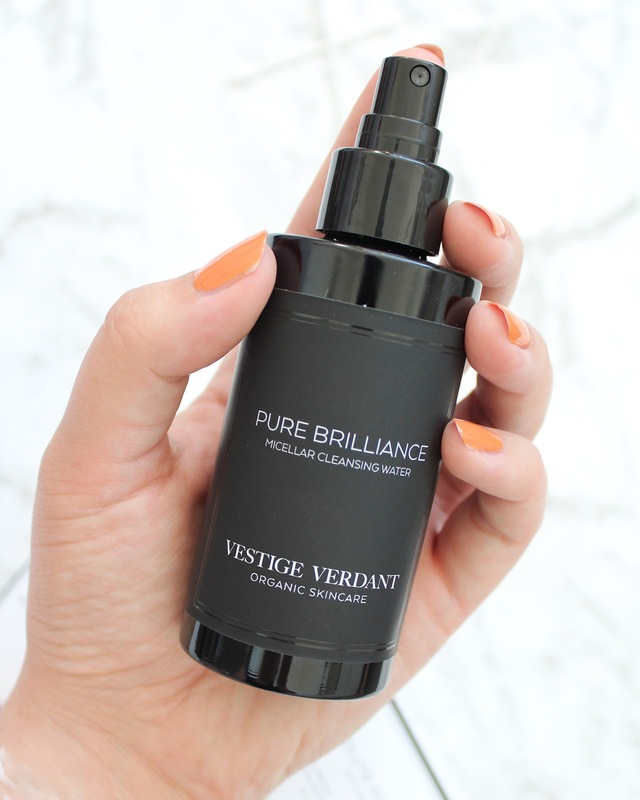 This brand new offering from Vestige Verdant comes in a spray bottle - something I have never encountered in micellar waters before. I find this way of dispensing it to be quite effective; you can either spray it onto a cotton pad and then use it by swiping it around your face and neck, or you can spray it directly onto the face and use a cloth or cotton pad to remove it. Unlike other makeup removing methods, this will help to restore the natural pH of the skin and it doesn't dry the skin out at all. I find no residue is leftover, it is gentle and doesn't sting around the eyes, and it leaves my skin feeling refreshed and clean. Vestige Verdant is available to purchase in New Zealand from NZ Health Store online here; the Day Cream retails for NZD $108, the Night Cream is NZD $120, and the Micellar Cleansing Water is NZD $58. The brand is certainly not the cheapest, but the product themselves prove that they are well worth the price tag. *Sponsored Post, all thoughts and opinions my own.